Dr. Silvia Collazo, DO is a Doctor primarily located in Monterey Park, CA. She has 21 years of experience. Her specialties include Geriatric Medicine and Family Medicine. She speaks English. The overall average patient rating of Dr. Silvia Collazo is Good. Dr. Silvia Collazo has been rated by 13 patients. From those 13 patients 5 of those left a comment along with their rating. The overall rating for Dr. Silvia Collazo is 3.4 of 5.0 stars. Silvia Collazo, DO, MPh, is board certified in family practice and geriatric medicine. Dr. Collazo earned her medical degree at the Western University of Health Sciences in Pomona, Calif. She completed her internship and residency at the Arrowhead Regional Medical Center in Colton, Calif., where she also completed a geriatric fellowship. Dr. Collazo enjoys being able to treat "the whole patient" by considering not only their health, but also their social and spiritual concerns. She describes herself as a good listener. She enjoys weight training and crafts in her spare time. English, Dr. Collazo is fluent in Spanish. 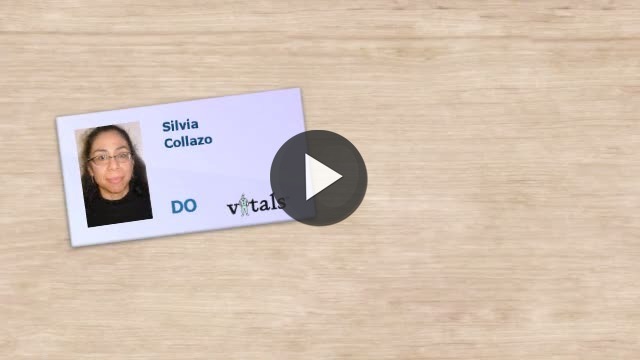 Take a minute to learn about Dr. Silvia Collazo, DO - Geriatric Medicine in Monterey Park, CA, in this video.